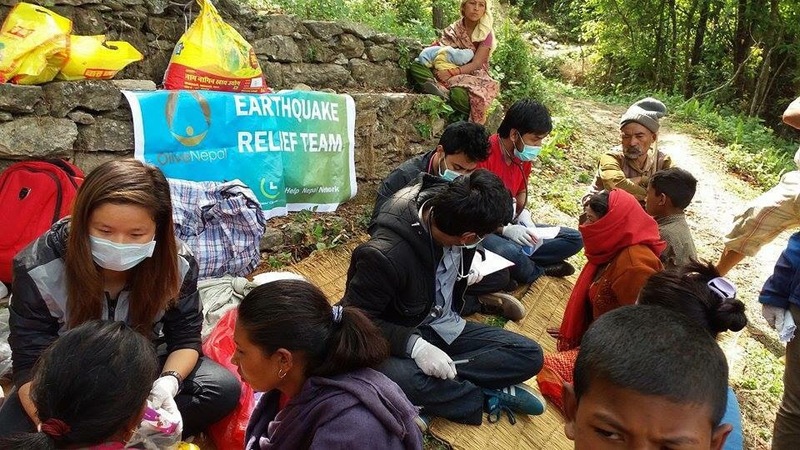 A team of citizen volunteers provided needed health and recovery support to villages affected by the 2015 earthquake that ravaged Nepal. Climate resilience is partly about ensuring glacial melt and landslides are less of a threat to human populations. Photograph: CCL Nepal. Climate disruption is generating ever more destructive extreme weather events, putting countries on every continent at risk of macrocritical value loss—a disruption of economic progress that can take generations to come back from. The impact is “macrocritical”, because it affects the overall macroeconomy in critical ways that have long-running repercussions. Resilience is the ability to “bounce back from a shock”. A tree bends so it will not break in a heavy wind. Systems need to be able to get back in shape after being hit with a major disruption. In her address to the Chatham House Climate Change Conference, on October 10, Patricia Espinosa, Executive Secretary of the UN Climate Change Secretariat, said “Climate considerations must be mainstreamed into our global financial architecture.” Leaders in business and finance are beginning to see this as well. A sustainable portfolio is not just one that does good for others; it is one that is designed to thrive in a more competitive future. This is also the view the IMF has taken, as it comes to grips with the many ways in which macrocritical drivers of value affect national budget outlooks. It is known, for instance, that between two countries that have similar resources, similar populations and similar national budgets, if all other things are equal, the one which refuses to educate young girls is far more likely to descend into sectarian conflict; its budget outlook it tainted by the macrocritical impact of under-educating girls and systematically excluding and mistreating women. 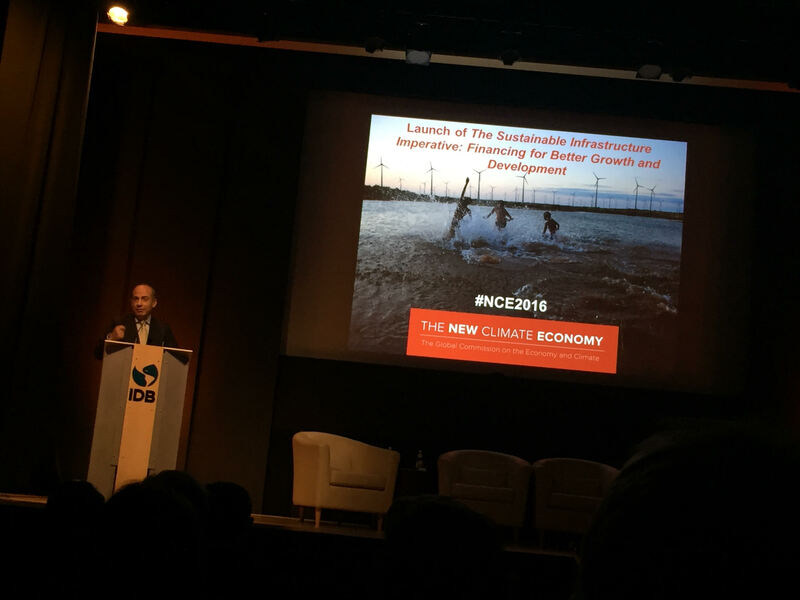 We are entering a new age in the life of Earth systems, and in the evolution of human civilization, but also in the way we conceive of finance—its purpose, its vulnerabilities, and its power to generate good outcomes. As we see more and more clearly that universal education, gender equality, food and water security, and climate resilience, are macrocritical drivers on which all other value ultimately depends, major financial institutions, both in the public and private sector, are learning how to measure their performance against macrocritical indicators. View the full Climate Geopolitics photo essay, putting the COP22 and Sustainable Development Goals into an up-to-date report on the state of our global economic transition. As presented by Joseph Robertson. The 17 Sustainable Development Goals were agreed by 193 member states of the UN General Assembly, and aims to achieve 169 action-specific targets. The Paris Agreement will operate through 195 Nationally Determined Contributions to the global climate response. These historic agreements now serve as mapping and design operations for a macrocritically resilient future. They are also ways to make sure money flows to what will empower people to sustain the systems that sustain life, human adaptive capacity, and value, over time. It is no longer out of the question to talk about a comprehensive system-wide shift in the global financial sector to climate-smart priorities and practices. Daring innovators like Solar Impulse are building global collaborative communities for climate-smart innovation. Partners contribute ideas, resources, inventive capacity, and know-how, to ensure cutting-edge solutions come along sooner, rather than later. These new multilevel, multilateral partnerships mean people, institutions, and businesses across the world are actively engaging in system design for a thriving climate-smart economy. These collaborative technical achievements are making new innovations possible in many other fields. Finance will shift to follow the most efficient new ways of operating in the world. If just 1/12 of bonds moving into climate-smart investment strategies, $1 trillion per year would be going to work to secure our climate future. In a way, this is what people in all societies have always had in mind when they thought about what it means to build a strong, safe, and prosperous society. What is different now is that we can more clearly see that degradations of fundamental values cannot be discounted or swept under the rug. Those mistakes and inefficiencies scale up into systemic threats. The COP22 climate negotiations in Marrakech will add force and function to the national climate plans intended to avoid dangerous climate disruption. To add momentum and secure our future, world leaders at the G20 summit next year in Germany should make concrete commitments to move the global financial sector closer to true macrocritical resilience. It’s time to stop funding harm and build the future of deep-rooted prosperity we all want to live in. The Geoversiv Foundation is working to network constellations of knowledge sharing and interrelationship. The Peace Synapse global knowledge graph, powered by GDELT, maps knowledge relationships between individuals, institutions, crisis situations and response scenarios, in relation to climate, peace, and security.